← Diabetes UK is calling for Black and Minority Ethnic (BAME) Community Champions throughout Britain. They are of the view that the Inquiry’s remit is discriminatory in that it highlights one form of racism but does not name anti-African racism, Afriphobia, which is ingrained in society and results in the over-representation of Africans in all indices of social deprivation. The group has made suggestions for the Inquiry to consider with regards to its focus and language. On the 53rd anniversary of the African Union’s African Liberation Day (ALD), they advocate the use of the term Afriphobia to specifically identify anti-African racism, and AAME (African, Asian, Minority Ethnic), instead of BAME (Black, Asian, Minority Ethnic), which excludes the African identity. The open letter, initiated by Africans For JC Values, a Momentum movement organisation, is in response to recent suspensions and censuring of Labour Party members on allegations of anti-Semitism. Undoubtedly the Jewish holocaust (properly known among the Jewish people as Shoah) is a terrible blight on human history, but we must remember that there were holocausts before and after. The Congolese holocaust in the name of King Leopold II, is said to have claimed 10 millions lives. 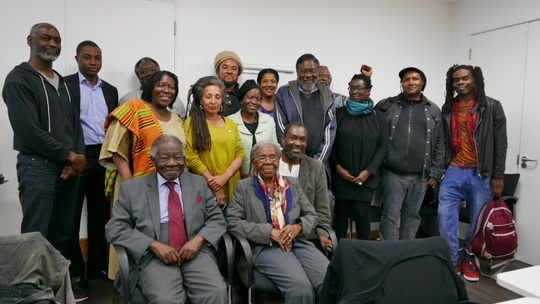 The survivors of the Middle Passage suffered unimaginable torture and hardships at the hands of enslavers and plantation owners, and their descendants continue to suffer acute deprivation and are the object of discrimination and racism in America and in the UK, where they are under represented at every level of public life, including in the Labour Party, and over-represented on all indices of social deprivation and criminalisation. This entry was posted in National News and tagged Afriphobia Is Racism Against African People, anti-African racism, ‘Anti-Semitism and other forms of racism’. Bookmark the permalink.